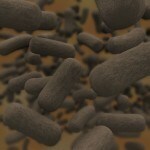 Probiotics have received much attention in recent years. Television commercials advertising yogurt with live active cultures, news bits that discuss the miraculous power of good bacteria, and kombucha may have peaked your interest in probiotics. 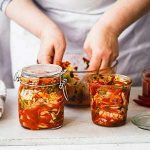 While probiotics can be helpful for introducing new colonies of good bacteria in your intestines, they can only thrive in the presence of prebiotics. 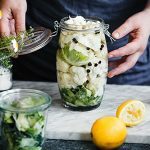 Prebiotics are fundamentally the “food” for the good bacteria, helping them to grow and flourish, ultimately benefiting numerous aspects of your health. A recent study is showing that gum arabic, a hardened sap from the acacia tree, may be a powerful prebiotic. If you’re familiar with gum arabic, you probably know it’s used in the food and nutraceutical industry as an emulsifier. 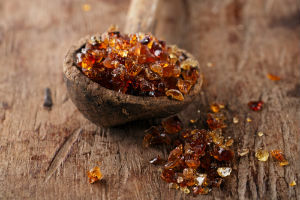 Beyond this, gum arabic contains a substantial amount of fiber and is even sold as a fiber supplement, typically marketed under the name “acacia fiber.” Dietary fiber, particularly from gum arabic, is a prebiotic and is essential for strengthening the population of good bacteria in your gut. A study from the British Journal of Nutrition showed supplementation with gum arabic increases good bacterial strains, most notably Bifidobacteria and Lactobaccili bacteria. Probiotics get a lot of attention, but discussions about prebiotic supplements are few and far between. Inulin is one of the most popular prebiotic supplements on the market, and for good reason. Dietary inulin offers tremendous prebiotic potency. Inulin is found in a variety of fruits and vegetables, making it an easier prebiotic to consume. Some of the higher quality probiotic supplements may also contain inulin. Should You Take a Prebiotic Supplement? Probiotics are awesome but they're not the whole picture. They thrive when you give them what they want and need — prebiotics. While some people will certainly benefit from purchasing a prebiotic supplement, note that fiber found in raw vegetables, fruits, nuts, and seeds also display prebiotic potential. Do you take prebiotics? What kind? 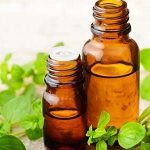 Has it helped your digestion? Please let us know in the comments! Wim Calame, Antje R. Weseler, Christer Viebke, Cal Flynn, Andre Siemensma. Gum arabic stabilizes prebiotic functionality in healthy human volunteers in a dose-dependent manner. The British Journal of Nutrition. DOI: 10.1017/S0007114508981447. Joanne Slavin. Fiber and Prebiotics: Mechanisms and Health Benefits. Nutrients. 2013 Apr; 5(4): 1417-1435. doi: 10.3390/nu5041417.